"Targeting behavioural change from the bully is not as effective as targeting the bystander to make a culture shift," said Gordana Skrba of the Ontario Federation for Cerebral Palsy. 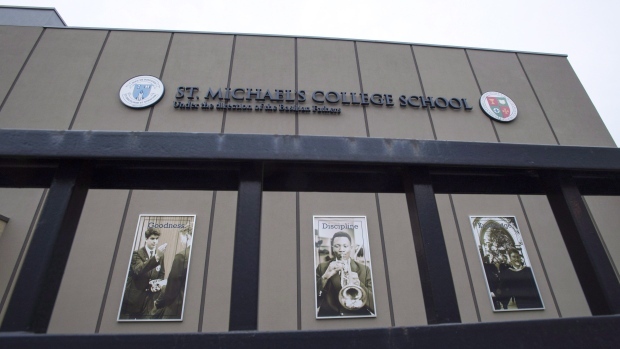 This week, news emerged about two videotaped incidents at St. Michael's College School in Toronto. Police sources say members of the basketball team bullied one student and soaked him with water, while a group of boys held down another student and allegedly sexually assaulted him with a broom handle. 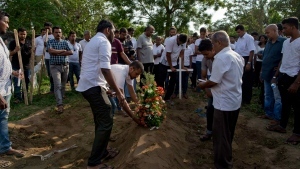 As these incidents are investigated, students, parents and teachers are grappling with difficult questions of how they could happen -- and what young witnesses should do. Debra Pepler, a York University psychology professor and bullying expert, said bullies often thrive off the power imbalance of an audience -- but bystanders can also be instrumental in stopping the incidents. There are bystanders to about 85 per cent of bullying incidents, Pepler said, but three-quarters of the time they are "paying positive attention" to the bully -- and victims can sense the power imbalance. Children who are noticeably different are targeted more frequently -- whether for a disability, sexual or gender identity, race, nationality or socioeconomic status, she said. "Where you find power differentials, that's where you find people who are more at risk of being bullied," Pepler said. "It's really up to the adults to create a safe school context where everyone feels included as if they belong and are valued." Talking about intervention is a challenging task, especially because there is no clear research on what methods are most effective. Pepler's work has shown "pro-social" intervention is about as effective as "aggressive" intervention towards the bully. Many children and youth don't know how to intervene, even if they sense that what's happening is wrong, she said. It's also important to make sure kids understand they have safe options other than getting directly involved, like talking to a friend or adult, she said. Pepler said if a young person speaks up alone, it's usually someone with a higher social status, as a common fear is that whoever challenges the bully could become the next victim. "We as adults play a very significant role in helping children understand not only how to avoid using their power negatively, but how it feels like to use it positively," Pepler said. Cindy Carruthers of People First said students and teachers often thank the group for giving them the words to stand up to a bully, either in the school yard or at home. "We often say to the kids, if you hear older brothers and sisters or your parents using language they shouldn't use, educate them," Carruthers said. She said parents should also be educated about these issues, and she often senses her group's anti-bullying themes haven't been discussed with kids at home before. "Kids don't just make this stuff up. 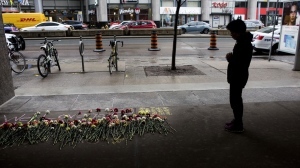 You have to learn to be a bully," said Carruthers.